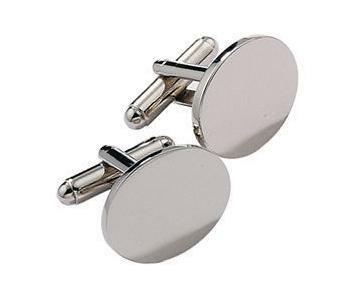 Each cufflink features a large thick rectangular face with a brushed chrome finish and easy-to-use clips for quick fastening. An extremely stylish pair of chunky square silver colour cufflinks for those occasions that call for smart attire. 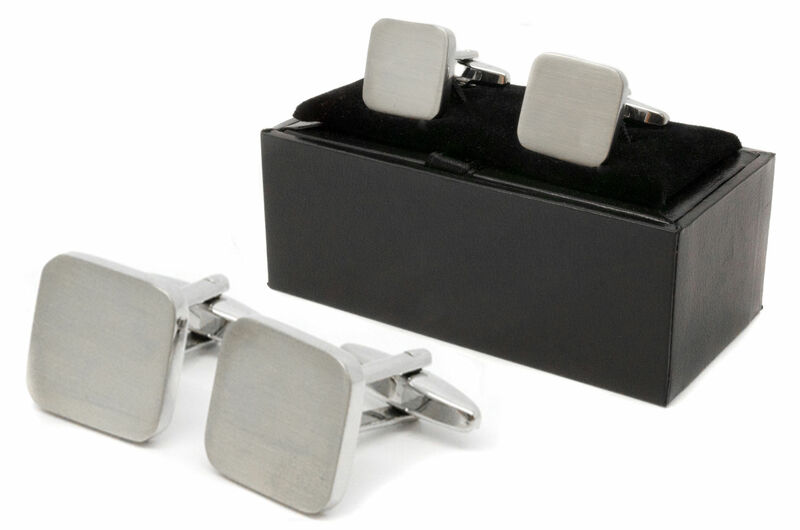 Each cufflink features a large square silver coloured face and easy-to-use clips for quick fastening. An ideal personal purchase for any formal occasion, or a perfect gift for any gentleman. Supplied with a stylish black case that both protects the cufflinks when not in use, and beautifully presents them for the recipient. Dimensions of cufflinks: 1.5cm (L) x 1.5cm (W) approx. For engraving we recommend 3 initials. Perfect for any keen player or fan of the sport, They can also be given as a gift for Birthdays, Retirements, or even to the Best Man or Ushers at your wedding.